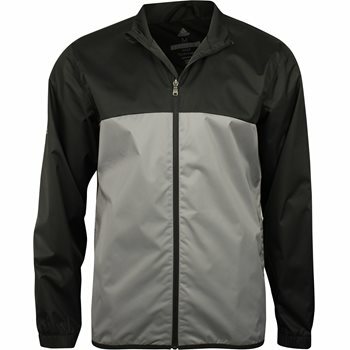 The ClimaStorm Provisional Rain Jacket is made for versatility and protection from the wind. It includes a full zip with mock neck and critically sealed seams to shield you from the weather. Additionally, it has elastic cuffs for an adjustable fit. adidas Badge of Sport on sleeve.